Dr Eleanor Gates-Stuart is a visual media artist who focus is primarily on scientific exploration and technology, both in the advancement of innovation and in communicating her artistic practice in new and innovative ways, questioning and engaging audience in art, science and technology. 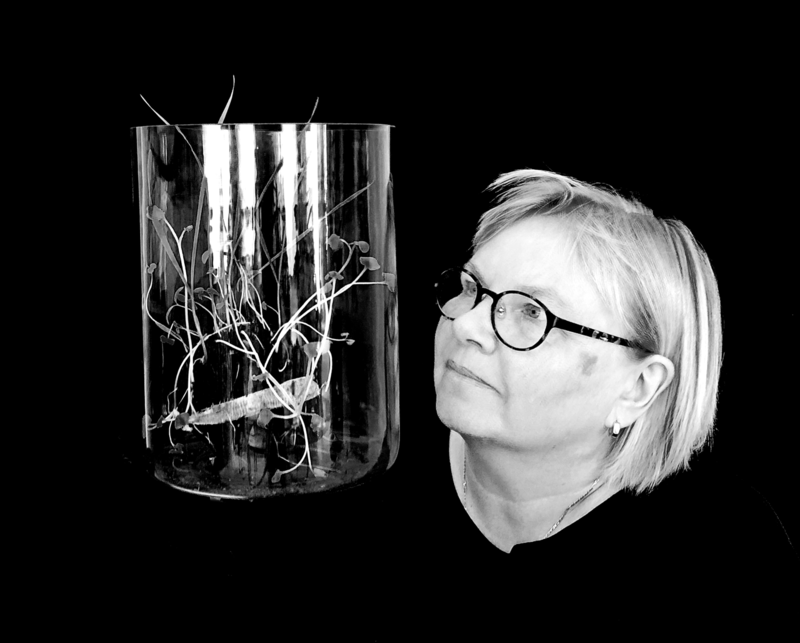 Working with major research organisations, museums, business and government her scope of artistic creativity and research interests are extensive and includes interactive exhibits and the application of innovative materials such as the ‘Bugs’, titanium insects and ‘Hot Seeds’ holographic works. She was awarded Scitech’s Innovation in Art Residency 2016 for her project, ‘Under the Surface’ based on mining and mineral exploration in Western Australia, in association with the Commonwealth Scientific and Industrial Research Organisation (CSIRO) Mineral Resources Flagship. Gates-Stuart’s active research involves site visits, such as travelling deep underground at the Kalgoorlie Consolidated Gold Mines (KCGM) Super Pit and visiting Data & Core Repositories at GeoScience Australia and the Department of Mines and Petroleum (DMP) in WA. Her multimedia project, StellrScope, was awarded to Gates-Stuart’s by the Centenary of Canberra’s major Science Art Commission supported by the Australian Capital Territory (ACT) Government and the Australian Government, 2013. Celebrating 100 years of wheat, from the days of experimentalist William Farrer through to current science innovation of today, CSIRO was the host for this research, engaging Gates-Stuart as the Science Art Fellow. She received a Canberra Critic’s Circle Award for StellrScope, the major commission installation which was held at Questacon – The National Science and Technology Centre. Artworks from the project are now part of the ACT Legislative Assembly Art Collection. Her international research in Science and Art is diverse and collaborative; Joining Charles Sturt University as Professor in Creative Industries following her links as an Honorary Professorial Fellow in the Faculty of Law, Humanities and the Arts, University of Wollongong and prior Professorship in Technology and Art (Techno Art) at National Cheng Kung University (Taiwan). She holds a PhD in Science Communication, Communicating Science: Exploring Science though Art, Australian National Centre for the Public Awareness of Science, Australian National University, and supported by the CSIRO – both she has been a Visiting Research Scholar. Selected as a participant for the National Academies Keck Futures Initiative (NAKFI), a program of the National Academies of Sciences, Engineering and Medicine, ‘The Deep Blue Sea 2016’, she continues the momentum of the ‘think tank’ synergy of NAKFI with scientists and artists in the USA. Other international projects include her current collaboration with the Orchid Research and Development Center at National Cheng Kung University, Taiwan.